The market is now moving from a vendors to consultants and integrators. They finally got it. And the enterprises as well. We are no longer discussing whether Sun or Novell or Oracle are better, and which to deploy, but customers now first try to identify what their organizational needs are and pick a tool afterwards. Customers can now (see bullet 1.) focus on the higher layers first, while having the confidence that later they will be able to implement that on any on the top tools (Sun, Novell, Oracle, ...). Well, my 0.02€ at least. 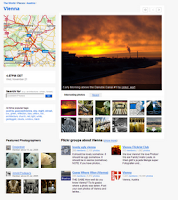 Flickr now does more with geotagged photos. "The Places project is our way of saying thank you to all our members who’ve taken the time to put their gorgeous photos on a map. Browse the whole globe, from your hometown to your favorite place, or places you’ve never even heard of..."
Ze Frank is back (not the full show, though, but still...), and I love it. ze's page :: zefrank.com: "privacy"
Yesterday's dilbert... via Dilbert Comic Strip Archive - Dilbert.com - The Official Dilbert Website by Scott Adams - Dilbert, Dogbert and Coworkers! What does a "service provider" actually think, when they have a planned (!) mail outage for about 12 hours without prior announcement? And then, why can't they configure the IMAP servers properly for that period of time, so that the do not complain about my password but just say that the service is down (which they can)? And - while we are at it - what can they possibly mean with "Web 2.0 user interface" ? Flickr now lets me export my flickr group subscriptions as OPML. The best part: comes with a cosy RSS feed, so you can stay up-to-date. Lenovo ditches ThinkPad early | The Register: "Lenovo ditches ThinkPad early"
A computer coffee table book ? Yes, in a way. 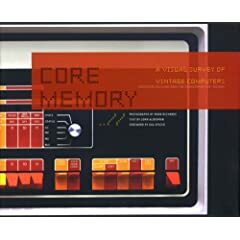 "Core Memory" is an illustrated book full of great photos of vintage computers, like the french minitel, the Apple II, Cray I (with all the cabling), Zuse Z3, good old IBMs, etc, etc. Yes, now it does work. As the gmail blog pointed out it would take a couple of days for everyone to have it. Since this night I have IMAP, too. And against my belief, I discovered it through configuring a Gmail account with IMAP in Thunderbird and wait for the error message to vanish. And I also found the confirmation on the gmail blog here. views in it. Looks like this in thunderbird.